As our Sonic the hedgehog is 11 months old now, I’ve had a lot of time to think about what life has been like with our exotic pet hedgehog the last 4 months. I’ve joined some hedgehog groups on Facebook because I like to learn from others and their experiences as well as to share my own. What I’ve come to learn is that a lot of people love the idea of hedgehogs, because they’re so darn cute, but then they don’t realize just how much work a hedgehog is to own and way too many hedgehogs end up being abandoned by their original owner to be rehomed or left at a human society. So let’s talk about the reasons people end up finding out why hedgehogs aren’t a good pet for them. That’s a good selling point, right? It’s true though and I’m definitely not going to sugar coat this post and try to sell you that a hedgehog is the perfect pet for everyone. I had a few comments when we first brought Sonic home that he must be so lonely and we should get him a friend. Well, male hedgehogs should never be housed together, ever EVER. They are naturally solitary animals in the wild and they will become aggressive and even kill each other if housed together. In some circumstances females who are mothers/daughters/sisters who have always been together can cohabitate. Sonic hissed, huffed and puffed at us for a good 2 weeks every night when we woke him up to come out and bond with us. We were timid and scared to pick him up, and now it’s just second nature and we are used to the way he feels. There are exceptions to every rule, but generally hedgehogs are not cuddly, snuggly and they want to be left alone. Now, this actually was a point that was very important to me. I didn’t want Braden to get attached to a hamster that only has a life span of 1-2 years at best. 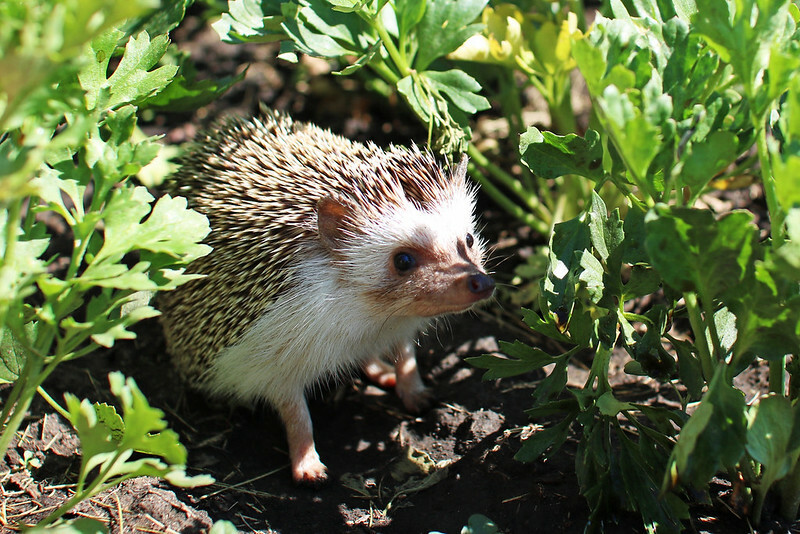 Though anything can happen at any time, a healthy and well cared for hedgehog can live 4-7 years or even more. The reason why I bring up this point, is that it seems many many many teenagers adopt hedgehogs and then find out that when they move away from home, their dorm rooms etc., don’t allow pets so they have no one to care for their hedgehogs anymore. Please do not adopt a hedgehog if you don’t have time to spend with it or you are moving away to a place that hedgehogs are not allowed. I’ve never quite understood people that work all day that say they don’t have the time to spend with their hedgehog. 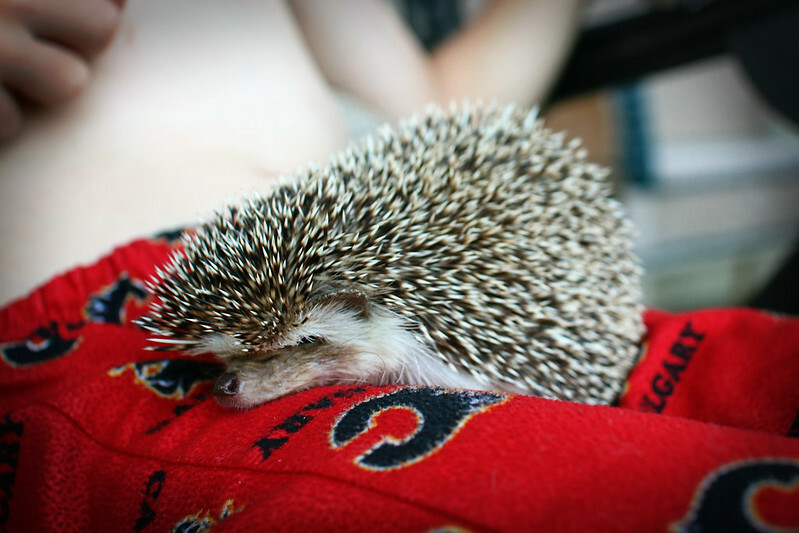 Hedgehogs are actually perfect pets for someone who is very busy during the day. Relax in the evening, take your hedgehog out for an hour or two while you watch TV or read a book, put hedgie back in its cage to eat and play and run all night. Then they sleep all day and don’t care that you aren’t home to spend time with it. Yes we can have activities and events in the evening, but not all evening, every evening. Make time for a hedgehog if you want to have one in your life, don’t get one if you can’t. If you think it’s painful and uncomfortable to handle a hedgehog, you’re right, BUT you will get used to it. They needed to be handled for at least a 1/2 hour every day so they get to know you and bond with you. In the care department, they need to have regular baths to keep their feet clean and also need regular nail-trimmings so their nails don’t get too long—this isn’t an option, you need to find a way to trim their nails. You should also be spot cleaning their cage every few days whether you use paper bedding or fleece and giving it a full clean at least every week or two. Hedgehogs poop a LOT! Oh, and they poop while they’re running on their wheel, so you need to wash their wheel quite regularly. If you don’t like poop, don’t get a hedgehog. Most hedgehogs sell for $100-$200 or so, plus you need a cage, bedding, wheel, water and food dishes, toys, and a vet fund. 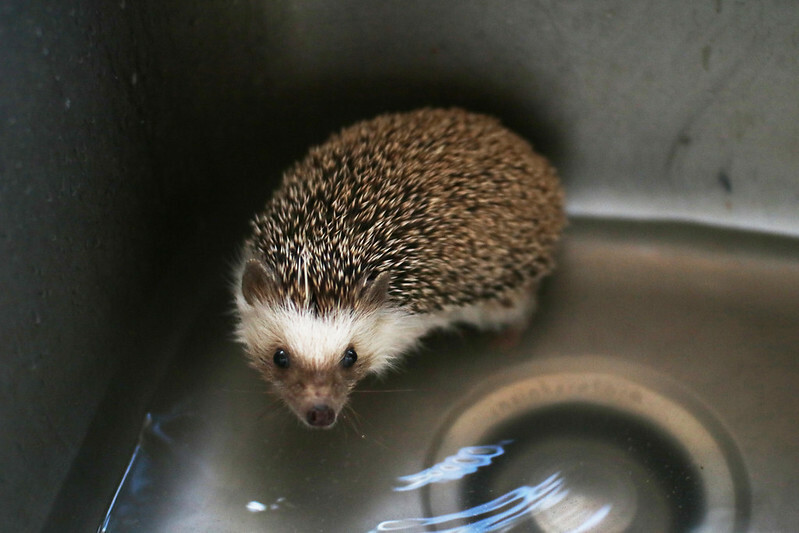 Hedgehogs (generally speaking) can’t be seen by any veterinarian, they require an exotic vet with “exotic” prices. Expect to pay around $80 just for a vet visit alone, plus anything they order like diagnostics, medication, etc. Once you have all the hedgehog supplies, it’s not so bad. Cat kibble is affordable, live worms are also very affordable, I only spend about $2-$3 every 2 weeks on his live worms. Canned worms are very expensive, but last quite awhile and are good to have in case I can’t coordinate getting to the pet store. 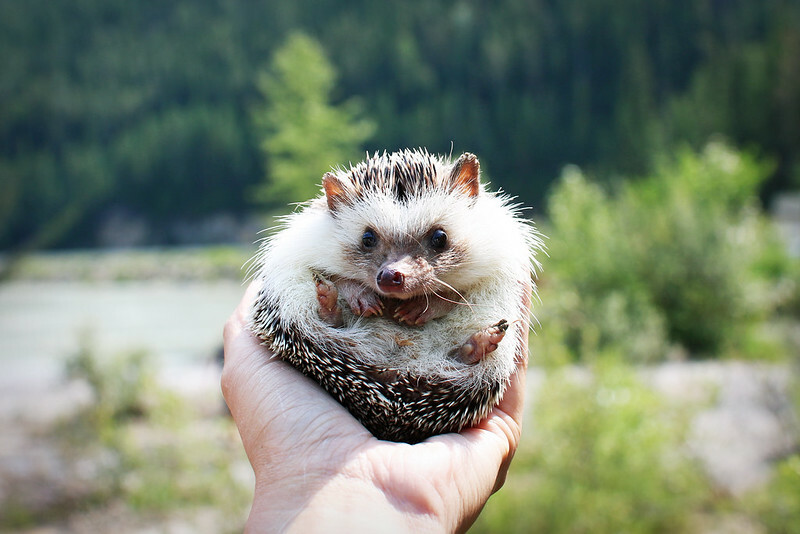 Don’t just get a hedgehog for a pet for cute photo opps. Yes, I absolutely love taking photos of Sonic, but that’s not the reason why I got him at all. I didn’t even know cute hedgehog accounts like Mr. Pokee and @huffypuffs existed until we got a hedgehog of our own and we dove into that community. If you’re in it just for the cuteness, you won’t be a happy hedgehog owner. 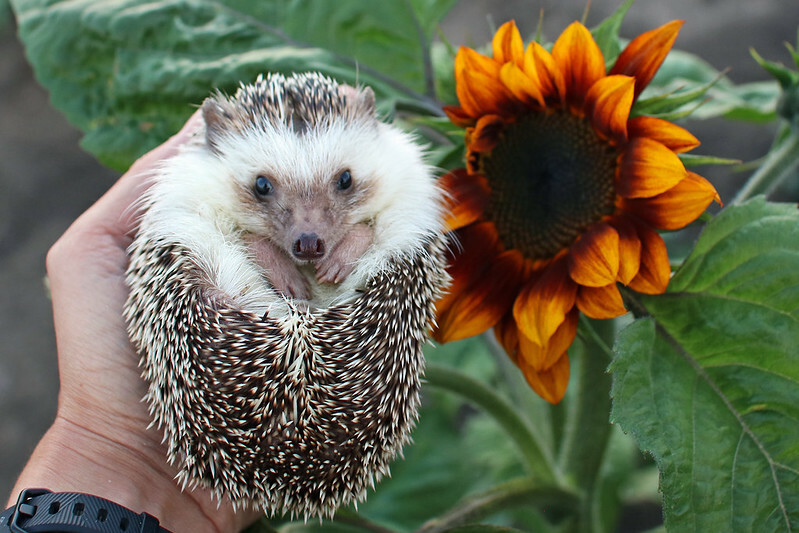 Most of us hedgehog owners absolutely love our hedgies in spite of (and even because) they are grumpy, quirky and have anti-social personalities! If you do decide to adopt or rescue a hedgehog, really dive into the research and consider the points I’ve made above. Get to know some breeders and ask around in the hedgehog communities for good places to adopt a hedgehog. There’s lots of lovely hogs that need to be rescued too.